Published: March 28, 2013 at 11:30 a.m. Updated: March 29, 2013 at 01:30 p.m.
Congrats to the Oakland Raiders on cutting Tommy Kelly. He was overpaid, overweight and underperforming. The move was a no-brainer. The old regime should've never given Kelly obscene money in the first place. It's a great step in the right direction. General manager Reggie McKenzie and coach Dennis Allen shouldn't stop there. Their next two moves should be to jettison quarterback Carson Palmer and running back Darren McFadden from the roster. Let's face facts. Oakland is rebuilding. McKenzie and Allen inherited an absolute mess from former coach Hue Jackson and poor contracts from late owner Al Davis. 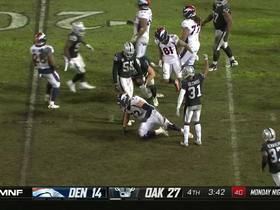 With bad players, bad characters, bad injuries and an overall bad vibe, the Raiders were predictably awful last season -- specifically in the second half, when they went a pathetic 1-7. Palmer's underwhelming play/leadership and McFadden's availability -- or the lack thereof -- were huge issues. The Raiders are absolutely delusional if they think they can count on McFadden. He can't stay healthy. 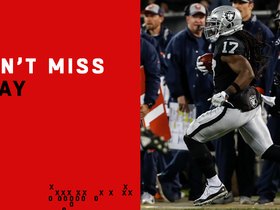 He can't be the player Oakland builds its offense around if he isn't available to play. When Allen took the Raiders job last offseason, he told me on SiriusXM that his top priority was to find a way for McFadden to play at a high level for 16 games. Well, in 2012, McFadden averaged a miniscule 3.3 yards per carry, finishing with a paltry total of 707 yards. Looking for nuggets of futility? When it comes to McFadden, there are plenty. 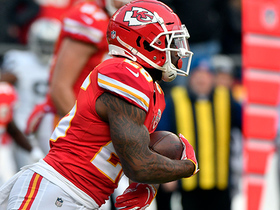 Do you realize he topped 100 yards rushing just three times last season (with two coming against the lowly Kansas City Chiefs)? Likewise, he topped 20 carries in just three games -- or one fewer than he missed entirely with injury. Then there's my personal favorite: In seven of the games in which he actually played, McFadden averaged less than 3 yards per carry. A fluke? Hardly. When Allen made that comment, McFadden was coming off a 2011 campaign in which he'd appeared in just seven games. Of course, when McFadden is right, he can be breathtaking. He's just not healthy, reliable or consistent enough to be featured. Through five years in the NFL, McFadden has rushed for more than 1,000 yards just once. If I were McKenzie, I'd shop McFadden -- and at the end of the day, I'd take anything for him. His value is low for all of the reasons I've documented. McFadden has one year left on his contract and is due to make $5.8 million. Even if, by some miracle, he were to stay healthy and dominate in 2013, there would still be five years of evidence why he shouldn't be -- won't be -- a Raider in 2014. Why wait? Allowing a "will he, won't he" weekly saga to develop holds Oakland back. The Raiders need bodies, youth and depth, but they haven't had a full allotment of draft picks in years. They should try to trade McFadden for a late-round selection. If there are no takers, they should just cut the cord and draft a running back who can play. They can bring in Super Bowl champion Ahmad Bradshaw as a backup; he can teach this undisciplined and young team toughness. 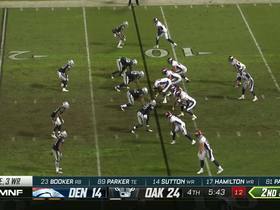 The Raiders can't continue to go down the road they're on with McFadden. It's a road to frustration -- a road to nowhere. I know the Raiders have deeply embedded issues. The defense was a sieve in 2012 -- it isn't Palmer's job to tackle Doug Martin. Palmer is, however, an interception-prone quarterback in the twilight of his career. And I don't want to hear about his (empty) yardage total. Palmer made awful throws in big spots -- like a crucial pick-six against the Atlanta Falcons -- hampering Oakland's ability to win. In a failed effort to save his job, Jackson ended Palmer's fake "retirement" from the Bengals in 2011 by dealing a first-round pick in 2012 and a second-rounder in 2013 to Cincinnati for the disgruntled quarterback. We called it the single most foolish deal in NFL history. Palmer only "retired" because he didn't want to play for the Bengals. That was selfish and embarrassing. Palmer should've blamed himself for the issues he had in Cincy, for not demanding more accountability from Chad Johnson and the Bengals. Palmer just didn't -- and doesn't -- want it enough. Now he's a shell of the player who was once a human JUGS machine, his excellence marred by injury and apathy. The Raiders wanted Palmer, who is due $13 million this year, to take a pay cut. But he wouldn't restructure. Of course he wouldn't. Carson Palmer is all about Carson Palmer; he's not about the Raiders or making the team better. This decision is even easier than the one Oakland made on Kelly: The Raiders should take the cap hit -- even if it's as high as $9 million -- and move on. Give Terrelle Pryor a shot. Trade for Matt Flynn and foster some competition. I think Flynn and Pryor are both better than Palmer -- and better for the Raiders. They can also draft a quarterback, either this year or in 2014, when a guy like Louisville's Teddy Bridgewater might enter the picture. I want the Raiders to be relevant. I want them to be good. I want their amazing die-hard fans to see progress and direction. Forget about a "commitment to excellence." Jettisoning the two players on the roster with the biggest profiles would represent a commitment to rebuilding and respectability. That's where it needs to start.